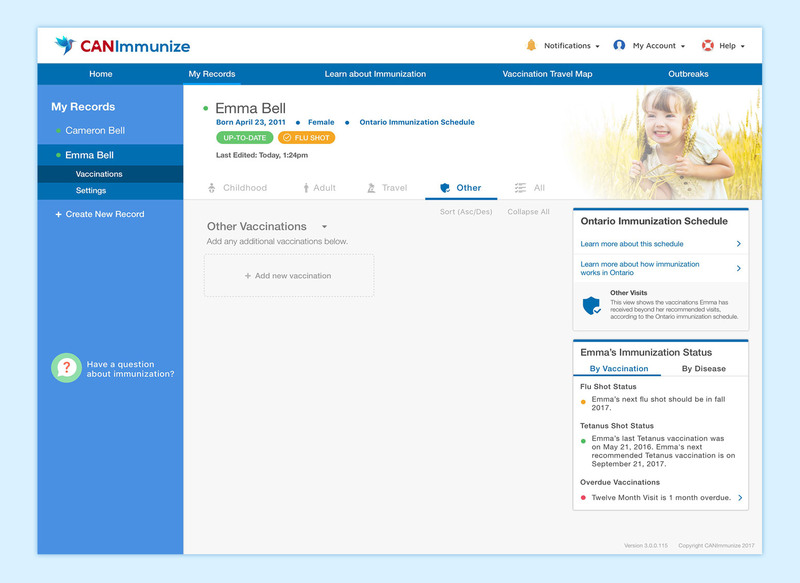 A digital immunization record for Canadians. The Ottawa Hospital mHealth Lab is a small research and development team that specializes in creating practical, easy-to-use apps for people to manage their health information. 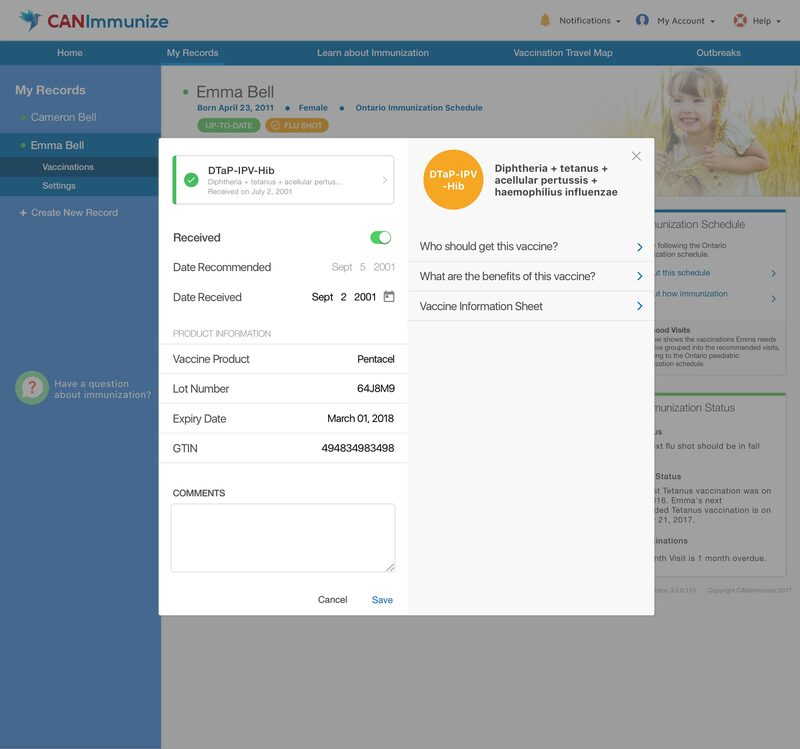 The largest, and most well-known project by the Ottawa mHealth Lab is CANImmunize, a mobile app for tracking your immunization records. 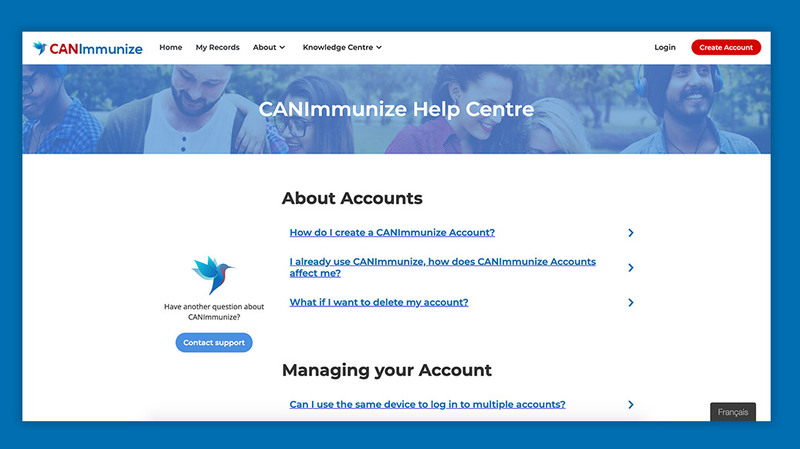 I helped the team design a new web platform for CANImmunize, which would allow the users of the app to access their records on the web as well as on mobile. Endless amounts of wireframing, subtle branding tweaks, easy-to-use UI & UX, combined with a minimalist design were all necessary for the project to succeed. This project was challenging mostly because it was my first major UX project. Even though a mobile version was already available, it wasn't as easy as just making the mobile version responsive into a web platform. All components had to be carefully considered and it had to adhere to our branding guidelines while making the platform a bit more modern and easy to use for its users. 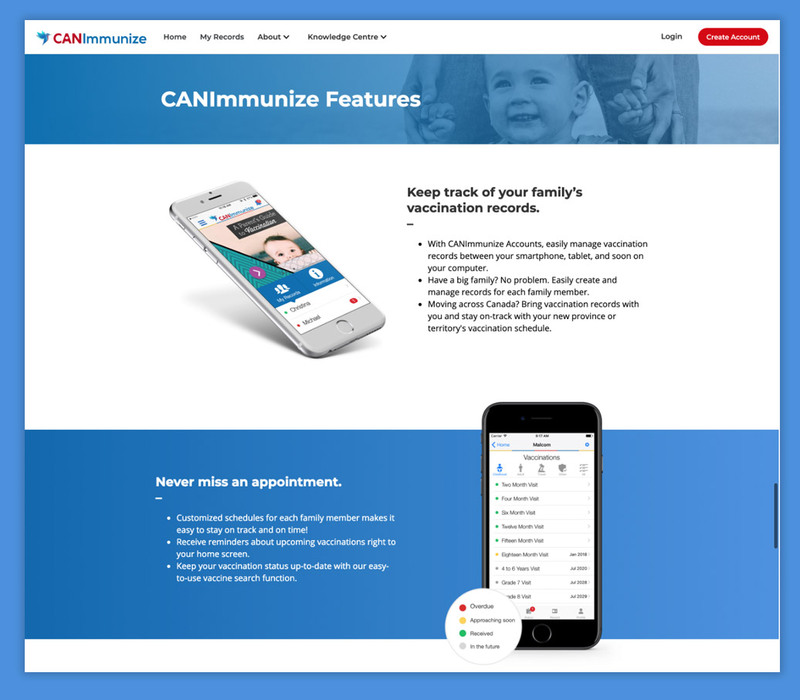 Before we started designing the web client version of CANImmunize, we sat down to come up with all known use cases with the mobile version, and added any extra use cases and edge cases that we foresaw with the creation of the web client. We wanted to make sure that we had all known issues solved before even starting the high-fidelity design stage. Once we had written down (so many!) use cases and personas, we got started on reworking an older wireframe that my supervisor had started about a year earlier. 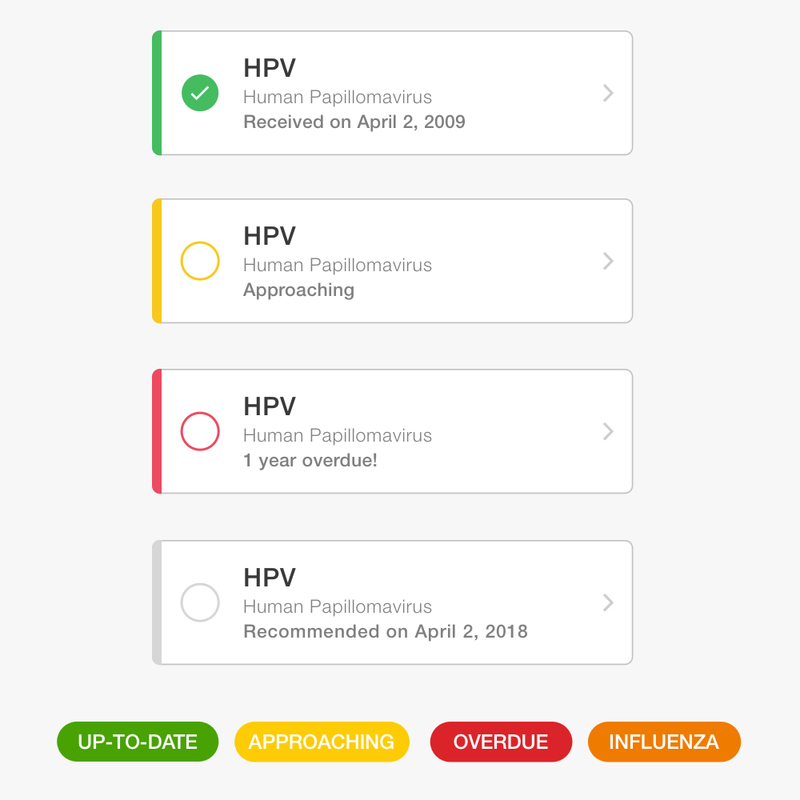 He knew the general direction he wanted the web app to go in, but with a few brainstorming sessions, and basic user testing of the wireframe, we decided on more prominent side navigation, primary/secondary menu navigations, and modal-based vaccination additions. I wanted to keep the app as clean as possible since there is so much information available to the user at all times. I then got to work beside our developer to help the web client come to life. This was accomplished by sending high fidelity mock-ups and prototypes through Zeplin and InVision to get the design across to a developer. We also had sit-down meetings to discuss various flows and possible issues that we came across. In the end, we had a functional web client ready to be published. It was such a fun experience, and I really learned a lot from this project! 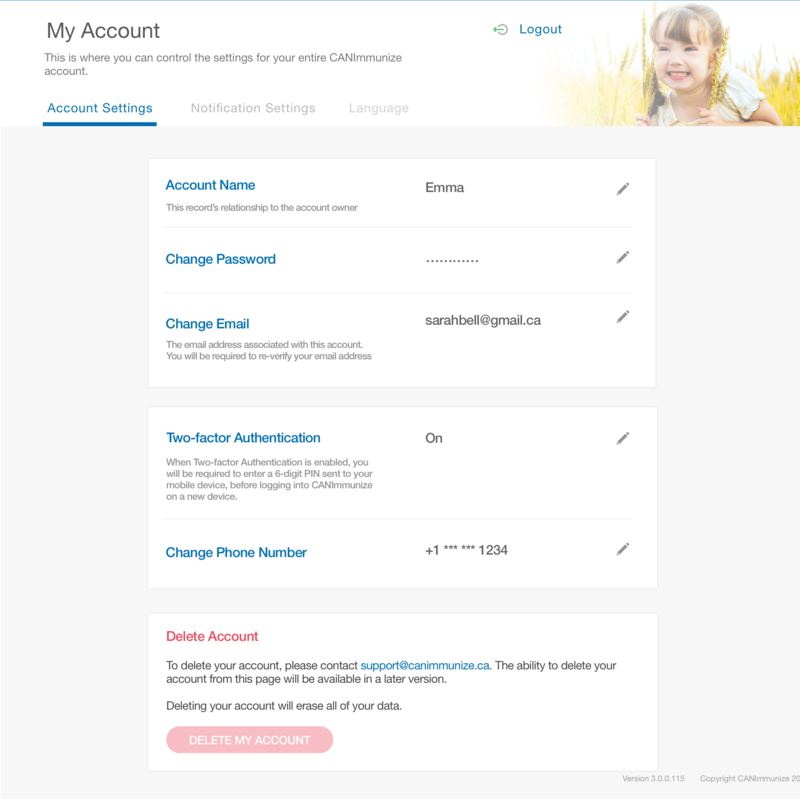 One of my responsibilities at the Ottawa mHealth Lab was to maintain the CANImmunize.ca website. This website is a general website that displays information and marketing regarding the app. Once I became comfortable with the website, I started redesigning page by page to freshen up the look and feel to make it bold and clean through the use of new typography and blocks of colour and strong imagery. I was also responsible for designing print materials such as posters and brochures to be distributed in clinics around the country. I also helped storyboard and produce multiple short commercials to be used for social media campaigns. 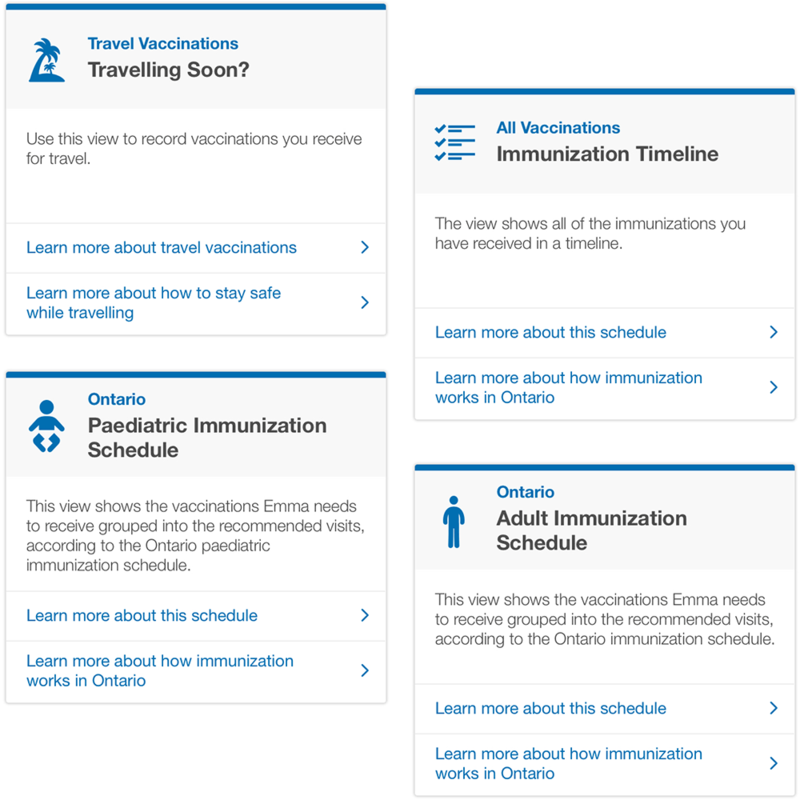 A large part of the CANImmunize app includes an educational section for parents on topics such as: Pain Management, Pregnancy and Immunizations, Provincial Immunization Schedules, etc. 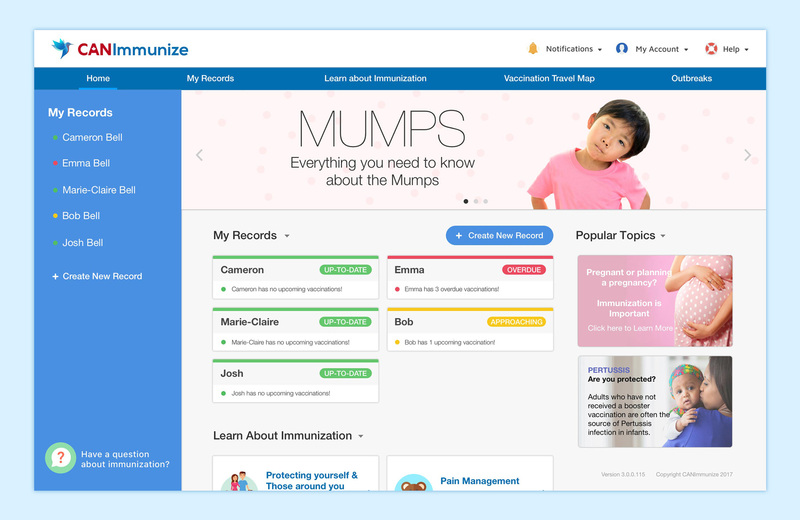 We wanted to take this information and make a website with this same content, so that a parent does not necessarily need to be a CANImmunize user to get valuable information. We decided to create a subdomain from our main website to work as an educational hub that we called the Knowledge Centre. This was a fun project where I got to take a lot of information and break it down into relevant sections and make it easy for parents to learn. 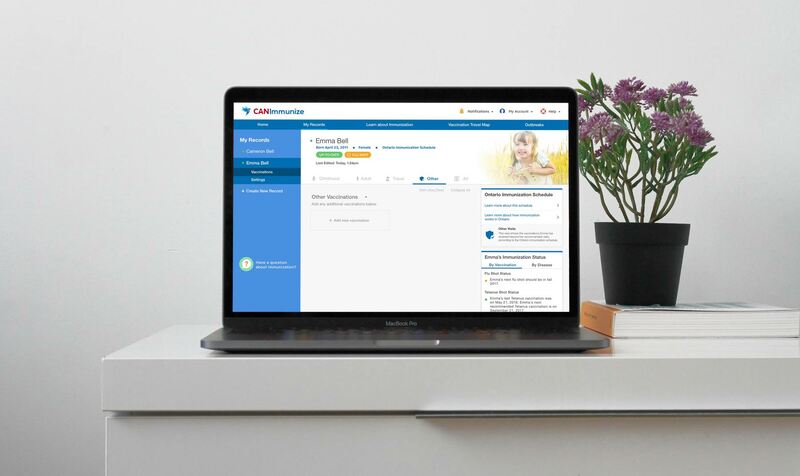 Another large part of the CANImmunize app was an FAQ section that included topics on how to use the app, how to add family members, how to submit your children's records, etc. This website was created mainly for new users of the app, so we wanted to break down the frequently asked questions into subheadings so the user can find their question easily. By not showing all of the answers right away, it keeps the page tidy and not have the user feel overwhelmed with too much text. 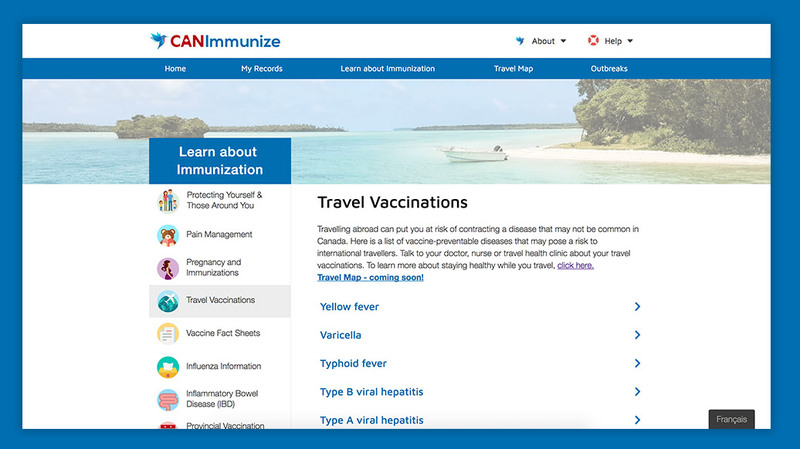 We were approached by the Department of Health and Wellness from Prince Edward Island to help develop a digital questionnaire to create awareness for adult immunizations. The Department of Health and Wellness, with financial support from the Public Health Agency of Canada, conducted a pilot project this fall where adults attending select Health PEI influenza clinics were asked if they would like to be assessed for additional vaccine needs. Approximately 700 adults were assessed using the immunization tool and 3/4 of those assessed were recommended to receive at least one vaccine.